Sign up to receive the latest Huntersville homes for sale under $250,000 in your inbox! Want to live in Huntersville, NC for under $250,000? Here’s how! 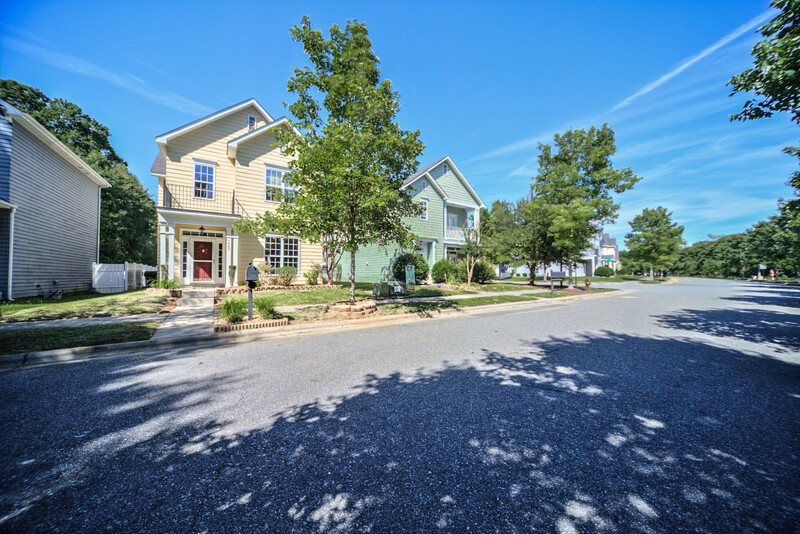 Check out these popular Huntersville hoods for under $250,000! Cedarfield is known for its lush landscape, large yards and mature trees. It’s hard to get a good size yard in Huntersville these days! Cedarfield is also known for being connected to the Torrence Creek Greenway, a great spot to take your pup or your family right in your own backyard! If you are feeling ambitious you can take the greenway to grab a cup of coffee at Starbucks or go to your local grocery store. Cedarfield has had a good bit of appreciation from 2015-2016 – the median sales price of homes is up 15%! Cedarfield also has super low HOA fees, about $450 for the year that gets you access to playgrounds and pools. Henderson Park is located on the west side of Huntersville, close to shopping, highway access, Lake Norman and Birkdale Village. Henderson Park is a gem in Huntersville – it’s so hard to find homes with good size lots under $200,000 in the Lake Norman area! It’s such a great deal of a neighborhood because there are currently only 9 homes for sale under $200,000 in Huntersville. Inventory is super low but you can definitely get a great house under $200,000! Henderson Park also has super low HOA fees ($400 for the year!) and that gets you access to a neighborhood pool and playground. In the last 6 months there have been 17 homes to hit the market in Henderson Park. There’s close to 200 homes in the community. The median sales price has gone from $183,000 in 2015 to $187,250 in 2016, an appreciation of 2.3%. The coolest thing about this neighborhood is how close you are to everything in Huntersville, everything is right at your fingertips! Glenwyck is connected to Henderson Park so it makes this community feel bigger than it really is. Glenwyck has a little less than 100 homes but the great part about Glenwyck is that there are a lot of hard-to-find one-story homes (a.k.a ranches) in this community. The other awesome part of this community is the median price range is about $185,000, up 6.2% from 2015. Gilead Village is such a charming neighborhood, you will feel like you are in Charleston with the beautiful porches and Charleston style homes throughout this community. A lot of these homes were built in the early to mid 2000’s by Saussy Burbank so you have the open floor plans and fiber cement exterior (low maintenance) along with super low maintenance yards too; the average size is about 0.10- 0.15 of an acre. The HOA fees are $600 for the year and that gets you access to a pool with a super cute cabana. The median sales price is up from $170,000 to $185,000, about 8.5% appreciation. Another cute Charleston style neighborhood built by Saussy Burbank and known for its serene front porches and low maintenance backyards. Douglas Park is walking distance from Barnette Elementary and Bradley Middle, a huge perk if you are a teacher or have little ones to take to school. Douglas Park is also within walking distance from Richard Barry Park which has 6 soccer/multi-purpose fields, playground and a walking trail – a great place near Douglas Park to get outside and enjoy. Median sales prices in Douglas Park are up 5% from 2015- 2016, you are right under $200,000 at $199,995.